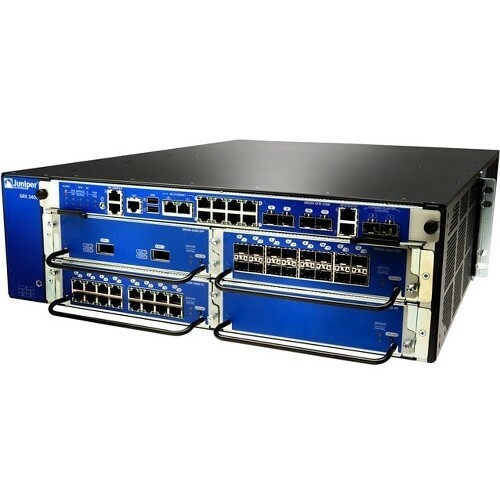 Pre-owned Juniper SRX Series firewall products offer high-quality security for networks of all sizes, including branch office and enterprise networks, data center networks and service provider networks. In addition to security services, SRX Series gateways have routing and switching capabilities, which can help reduce the number of routers and switches needed in your network. 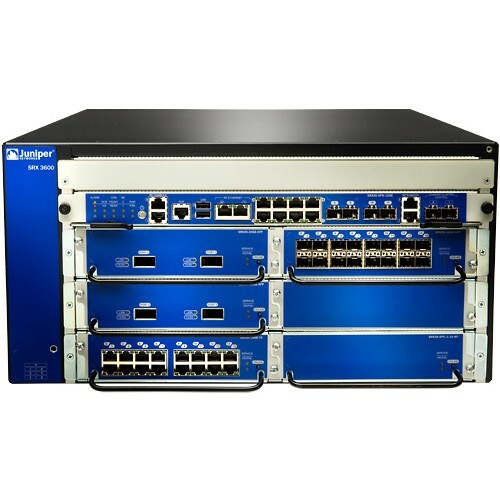 As an independent dealer of used Juniper SRX Series firewall devices, BrightStar Systems stocks and resales a wide selection of SRX Series products. This page provides a detailed overview of the lineup of SRX Series gateways, including some spare Juniper SRX Series end of life devices. The SRX Series includes 12 different subseries that cover a variety of networking solutions. The entry-level subseries are smaller and support lower firewall standards, as well as fewer ports and port configurations. The higher-end subseries, however, have tighter secure systems and support higher Ethernet speeds and more port configurations. The SRX Series gateways designed for branch office locations includes four subseries: the SRX110, the SRX220, the SRX300 and the SRX550. All of the these subseries, except for the SRX550 are only 1 RU (rack unit) in size, and support up to 1G Ethernet. 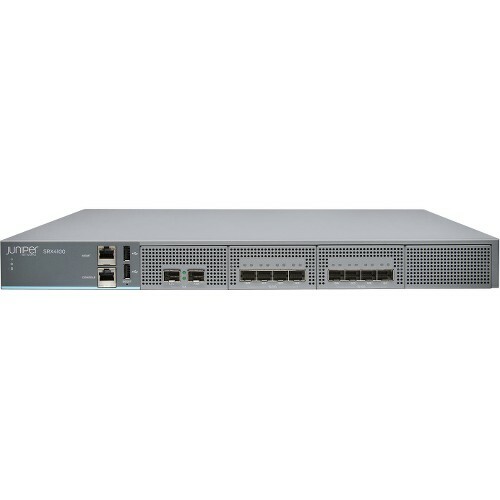 The SRX550 is 2 RU and supports up to 10G Ethernet. The SRX300 is available in four different versions, the SRX300, the SRX320, the SRX340 and the SRX345. Many of these subseries have Physical Interface Modules (PIM) slots, in addition to fixed ports, offering greater flexibility in setting up port configurations. The SRX220 has two Mini-PIM slots; the SRX320 also has two Mini-PIM slots, and both the SRX340 and the SRX345 have four Mini-PIM slots. The SRX550 has two Mini-PIM slots, as well as six Gigabit-Backplane PIM (GPIM) slots that support both GPIM and XPIM components. Pre-owned Juniper SRX Series gateways for enterprise and data center applications are higher-performing devices than the branch gateways. There are five subseries that fall within the enterprise and data center performance range, including the SRX1400, the SRX1500, the SRX3400, the SRX3600 and the SRX4000, which is available in two versions, the SRX4100 and the SRX4200. The sizes of these gateways range from 1 RU to 5 RU, and the security and connectivity specifications for these gateways vary significantly. All these gateways support up to 10G Ethernet. 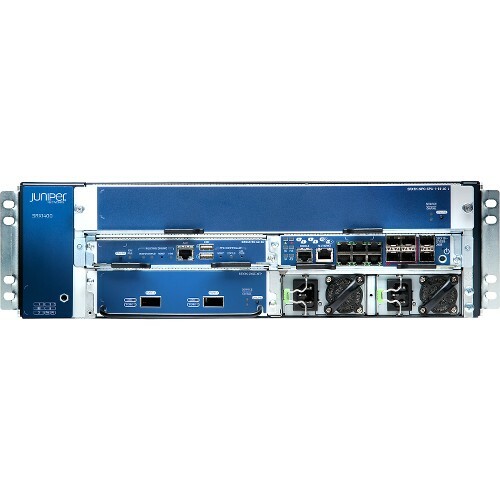 The SRX1400, the SRX3400 and the SRX3600 subseries are all used Juniper SRX Series end of life products. The flagship subseries of the SRX Series include the SRX5400, the SRX5600 and the SRX5800. 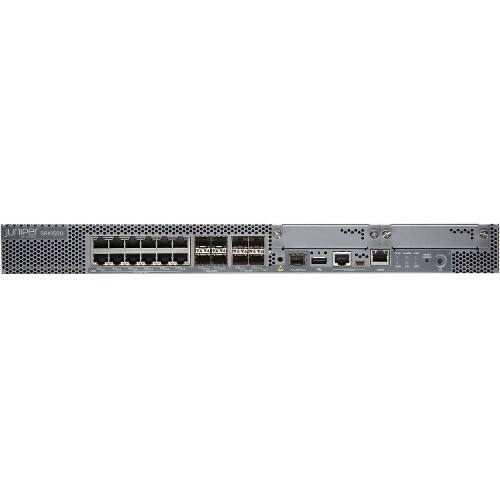 These subseries are made for very high levels of network security for service providers and offer more connectivity options than all other used Juniper SRX Series gateways. The SRX5400 is 5 RU in size; the SRX5600 is 8 RU; and the SRX5800 is 16 RU. All gateways within these three subseries support up to 100G Ethernet. The port configurations available on each of these subseries are determined by the number of I/O cards (IOC), which makes it easy to tailor port densities and optics to your needs. The SRX5400 has two IOC slots; the SRX5600 has five IOC slots, and the SRX5800 has 11 IOC slots. 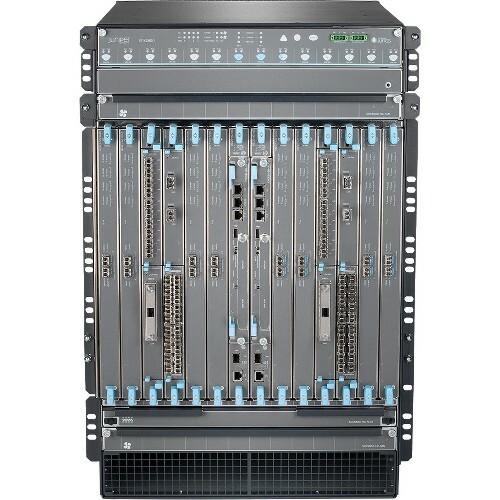 Pre-owned Juniper SRX Series gateways for sale share many features with other Juniper series of routers and switches, but none of Juniper’s other products integrate gateway, routing and switching features into a single device. However, because the SRX Series manages several networking tasks on it’s own, the routing and switching capabilities are not as powerful as other used Juniper devices that are designed as solely routers or switches. Used Juniper SRX Series firewall hardware shares a major component with spare Juniper J Series routers; both are made with PIM slots to provide versatile and flexible port configurations. And although both series include several devices that are only 1 RU in size, a comparison of the J Series vs SRX Series shows the overall capabilities of SRX Series gateways are better. The higher-end hardware of the SRX Series supports higher Ethernet speeds and greater port densities than the J Series, in addition to offering security features. BrightStar Systems has more in-depth information on used Juniper SRX Series gateway devices in the form of datasheets. Our datasheets will allow you to compare SRX Series products to other used Juniper routers and switches, and select hardware based on your specific networking needs. We believe in providing our customers with as much information as possible so they can make an informed purchase that they will be completed satisfied with. That’s why we also supply price lists for the SRX Series models we have in stock. By providing price lists, we give you the opportunity to work within your budget and determine what the best purchase is for you. If you would like to review used surplus Juniper SRX Series datasheets and price lists, or if you have any questions about our SRX Series products, please reach out to our support team today.